Julian holds an LLB (Hons) and B.Com (Acc) from the University of Adelaide, a GDip (Leg Prac) from Australian National University recently completed the Melbourne Teaching Certificate from the University of Melbourne. 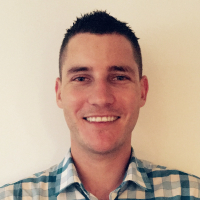 Julian moved from Adelaide and joined Melbourne Law School in 2013 as a sessional tutor and was appointed as a Teaching Academic (Law) in 2016. Prior to his appointment at the University of Melbourne, Julian tutored at Monash University and the University of Adelaide in Law and Commerce disciplines. In addition to Julian’s academic career, he is a practicing commercial solicitor with extensive and varied legal practice experience. Julian has worked as a specialised litigator for the ATO and as a commercial lawyer in private practice and in-house legal roles.